OMAHA, NEB. - Omaha has been selected as the site for the Association of Zoos and Aquariums (AZA) 2016 Mid-Year Meeting. The meeting will bring 900 attendees and more than $1 million to Omaha next year. 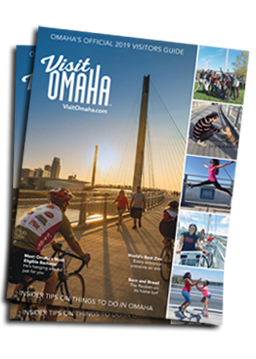 "We could not have booked this event without the support of Dennis Pate, Director and CEO of Omaha&apos;s Henry Doorly Zoo and Aquarium," said Cathy Keller, Director of Sales for the Omaha Convention and Visitors Bureau (OCVB). "Mr. Pate&apos;s position as the current chair of the AZA and his commitment to Omaha were instrumental in Omaha landing this piece of business." The 900 attendees will be in Omaha for ten days beginning March 15, 2016. The Mid-Year Meeting includes an international contingency and will provide a working opportunity for zoo directors, animal curators, keepers, scientists and gift shop merchandisers to learn and grow in their professions. "The international stature of our zoo makes Omaha an ideal location for this type of meeting," added Keller. The group will utilize the convention center at CenturyLink Center Omaha and more than 3,400 hotel room nights. According to the OCVB economic impact calculator, the meeting will bring in more than $1 million in direct spending and at least $170,000 in tax revenue for the city. Founded in 1924, the AZA is a nonprofit 501c(3) organization dedicated to the advancement of zoos and aquariums in the areas of conservation, education, science and recreation. AZA accredited zoos are dedicated to providing excellent care for animals, a great experience for the public, and a better future for all living things.